PlayerUnknown's Battlegrounds is an unprecedented success. The popular battle-royale style game came out of nowhere back in March of this year, and has since taken the industry by storm, with over 13 million purchases, and the highest concurrent player record on Steam yet. 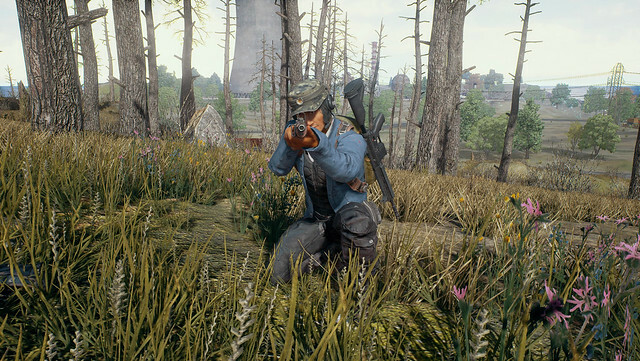 There's a version of PUBG coming to Xbox One later this year, and the game will depart from early access sometime in 2018, finally getting a proper release on PC, but there's something else lying in wait for PUBG: a potential version of the game on this generation's best-selling console, the PlayStation 4. In a recent feature with Bloomberg, Chang Byung-gyu, Bluhole's founder, said that his company is in talks with "all of the major console companies about bringing PUBG to a broader audience." He mentions the Xbox version that will be launching later this year, and specifically states that Bluehole and Sony are thinking about a release for the PS4 after that.